We carry an assortment of quality cotton fabrics commonly used in quilting and many other applications. Most major designers and manufacturers are represented. We also specialize in smocking and childrens sewing fabrics, including broadcloth and batiste. New fabrics arrive weekly and we do or best to keep our inventory current. 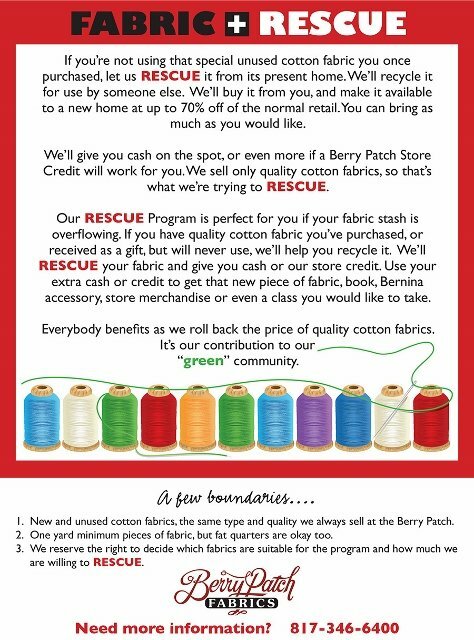 We also offer a program called "Fabric Rescue". We purchase fabric from your fabric stash that you may no longer have a plan for.